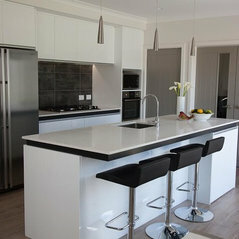 We are craftsman who specialise in creating high quality granite and engineered stone bench tops at an affordable price. We can install magnificent kitchen bench tops, bathroom vanity tops and fireplace surrounds in solid stone. Our computerised and fully automated machinery allows us to fabricate any shape, thickness and profile. 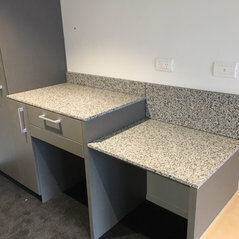 Design and manufacturing of granite and engineered stone bench tops for all uses. 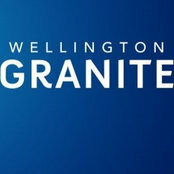 Serving all of New Zealand with our own joiners and installers. We are also the preferred supplier to 2 well known national retailers. Typical Job Costs:$2,500 - $20,000Granite, stone and specification dependent.